View of the sunken garden at Mere Hall from the roof. 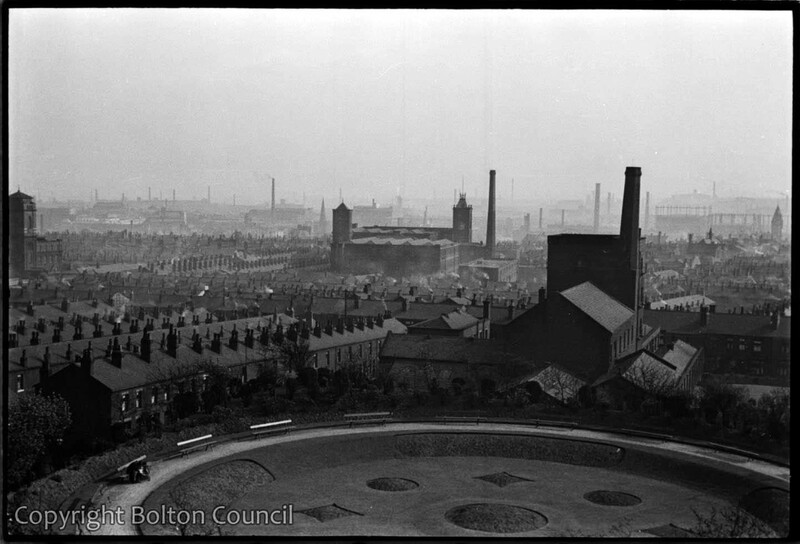 Artists Graham Bell and William Coldstream were painting views of Bolton from the roof and Humphrey Spender took this photograph whilst visiting them at work. This is the right view. This has bene reversed in the image on the postcard that is on sale. No wonder the print on the card is so deceiving – it’s in reverse. Yes you are right! We went to Mere Hall to check the view and realised the mistake.